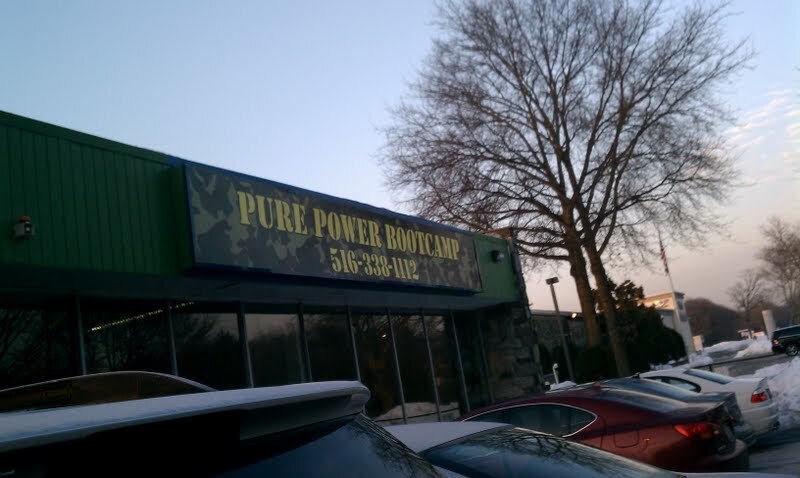 Bright and early I arrived at bootcamp for what would be an intense workout. I checked in, got my T-shirt and upon entering the workout area was instructed to do five push ups, which is protocol when you arrive. The workout area has a big obstacle course surrounded by a mini track where we would start our workout with ten laps. After the “warm up” we proceeded to back area for stretching, and then the real workout begins. Led by the instructor the class consisted of military style drills from box jumps to jumping jacks with a weighted bar to burpees, this hour class actually felt like two hours. In between the exercises we ran laps around the obstacle course, this part was my forte. Halfway through the workout we got to do the obstacle course, over hurdles, up a ramp, over a rope bridge, swinging on a rope, climbing a rope, climbing walls and more. The workout ended with some boxing drills and group sit ups. This workout was extremely intense and it made me realize that even though I can run there are other areas of my body that are just weak, like my upper body. I held my own pretty well through most of the workout, with the exception of when I almost puked in the bathroom halfway through, but thank God I didn’t, I just splashed some cold water on my face and continued on with the workout. At the end of the workout one of the regular bootcampers called me a warrior, I was honored. What I really like about this bootcamp was that even though the instructor pushed you, he did not berate you or yell in your face. There was a sense of camaraderie in the class, everyone was helpful and worked together. When it came time to climb the walls of the obstacle course, I made it over the first, but the second and third were too high and I did not have enough upper body strength to pull myself up, but my instructor and my co-boot campers helped me get over those walls. No man or woman is left behind. At the end we finished the workout with a group sit up, we all sat on the floor hip to hip with our arms linked and proceeded to do 40 sit ups together. If one person wasn’t able to do it the rest of the group helped them, we worked together and it was a great way to end the workout. I had an awesome experience and cannot wait until my next class on Wednesday, it should be interesting. This is definitely a workout I would recommend trying, it pushes your body to the limits. If you live in the NYC or Long Island area you can check it out, they have two locations, one in Jericho and one in Manhattan, you won’t be disappointed! Now I must go ice my sore muscles, have a great day all! Having gone through boot camp in Military Basic Training I understand the intense workout you just went through. I also understand the camaraderie that develops between the people that are going through the same training. We let no one in my flight fail in any exercise or run and I along with another friend literally carried another person across the finish line for our final mile and a half run which was pass or fail. We made that run as a flight (50 people). I wish you the best in your bootcamp it is truly a positive experience.